Looking for the ideal park in LA to play bubble soccer at? We play bubble soccer all over Los Angeles but sometimes finding a park can be hard. 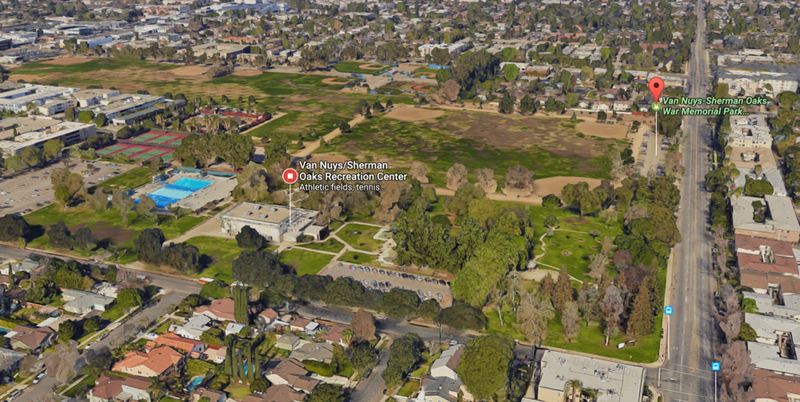 If you don't find the parks below will work for you, we have a long list of parks all over and can suggest others for you, just email us at contact@stratusbubblesoccer.com or call us at 213-262-8286 and we'll send you a list of parks near your. Jim Gilliam is a nice big park tucked away in a sleepy neighborhood of Baldwin Hills [MAP]. We usually play on the baseball field which rarely if ever is being used. They have lots of amenities including a picnic tables, BBQs, basketball court, tennis courts and a rentable indoor community space. This park is HUGE with tons of green space ideal for bubble soccer. It's located just off the 101 and the 405 freeways in the South Valley. Here are some photos from an event we did there. They have everything you need, picnic benches, BBQs, basketball courts, tennis courts, a pool and a rentable indoor community space. Didn't find the park for you? email us at contact@stratusbubblesoccer.com or call us at 213-262-8286 and we'll send you a list of parks near your.